The most abundant and commonly hunted waterfowl species on Fort Bragg is the wood duck. The installation is home to a healthy breeding population that utilizes many of the wood duck nest boxes placed throughout the post, as well as other natural cavities each spring. Hunters who spend a little time scouting can often harvest their daily limit each day. Beaver ponds scattered across Fort Bragg are a good place to start. The resident population of Canada geese is growing on and around Fort Bragg, thus resulting in increased opportunities to hunt this large waterfowl species. Other waterfowl species occasionally harvested on Fort Bragg include mallards, gadwall, and green-winged teal that mostly frequent beaver ponds, and divers such as ring-necked ducks, buffleheads, and hooded mergansers that may sometimes be found on the larger lakes. Weather, more than any other factor, influences waterfowl hunting on Fort Bragg. Mild winters fail to drive migratory birds south limiting most of the hunting to wood ducks and resident Canada geese. During years with more severe winter weather to the north, more migratory birds find their way to Fort Bragg, and waterfowling on the installation can be good. Wood ducks are our most abundant waterfowl species, and Fort Bragg supports a healthy breeding population of these birds. Many pairs of these birds nest in the 160+ nest boxes that are placed in wood duck habitat throughout Fort Bragg and Camp Mackall. The Fort Bragg Chapter of Ducks Unlimited and local Boy Scouts of America Troops partnering with Fort Bragg Wildlife Branch continue to be instrumental to the success of the nest box program. Late each winter and early spring, volunteers visit each nest box site and repair or replace each box prior to the breeding season. While visiting each nest box, the work crew also evaluates and records evidence of wood duck nesting. Recent increases in local wood duck harvest and hunting interest are likely attributable to more of the birds being available as a result of the nest box program. Beaver activity produces most of the waterfowl habitat on Fort Bragg and Camp Mackall. Some beaver ponds also provide habitat for endangered species, and water must be kept at certain levels to maintain the habitat. In these cases, water control structures are sometimes installed. This enables Wildlife staff to manipulate the water levels in these ponds, and doing so can be an effective way of producing quality waterfowl food sources. 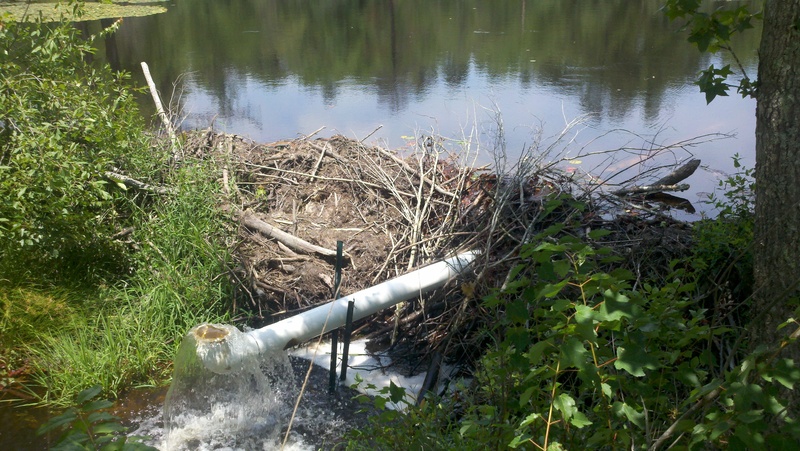 This same practice is also implemented at “problem” beaver sites, such as where road flooding may occur.